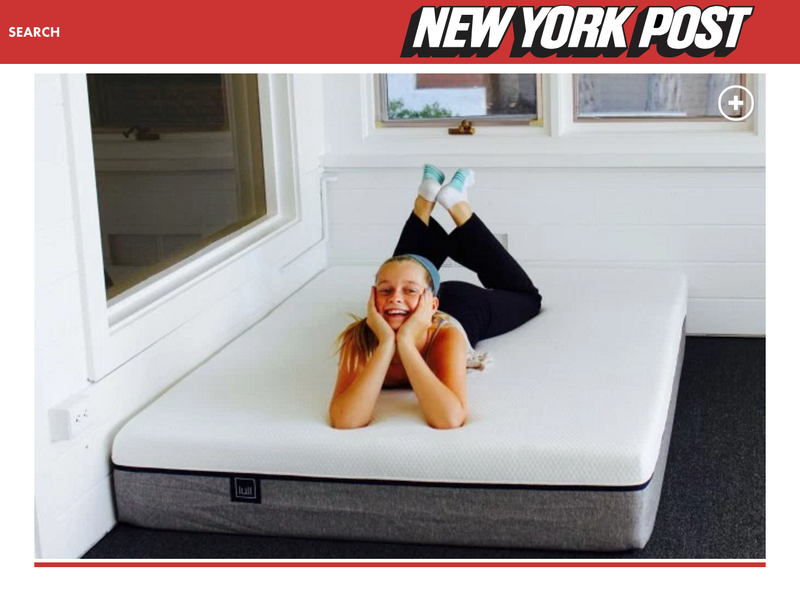 Congratulations to our Client Lull for their feature on New York Post! A comfortable mattress is the most important factor for great sleep. Lull’s three layer memory foam mattress was designed and crafted in the U.S.A., using only the highest quality materials. Lull provides the perfect amount of comfort and support for the best sleep of your life. Lull’s three layers of premium foam offer cooling comfort, therapeutic pressure relief and exceptional support. A perfect combination to ensure a great night of sleep for everyone. So, whether you are 5 or 75, 50lbs or 250lbs, a side, back or stomach sleeper Lull has you covered. Your Lull mattress is delivered free to your doorstep in a box the size of a mini fridge. They ship everything via FedEx so you can expect your mattress to arrive in 2-7 business days. If for some crazy, insane, absurd (you get the idea) reason you want to return your mattress just give Lull a call and they’ll schedule a free pick up and give you a full refund. Check them out at lull.com!